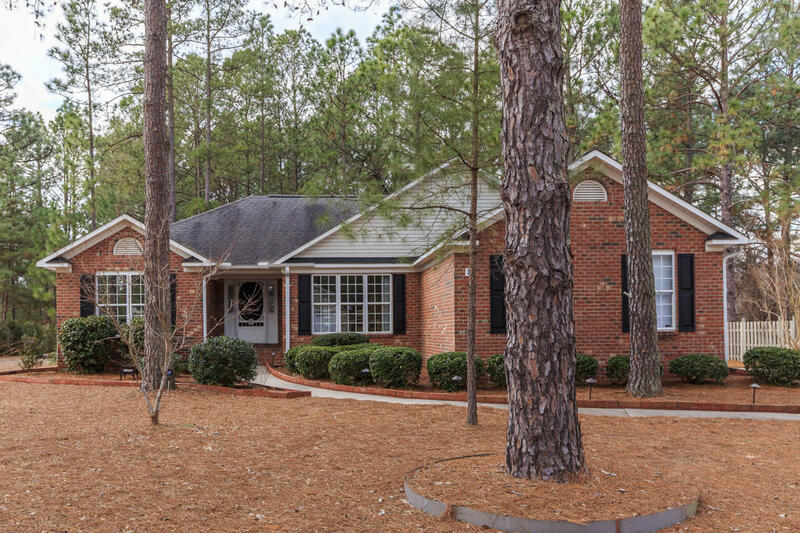 Beautiful 3BR/2BA home located in desirable Pinehurst No.6. Popular split bedroom floor plan, bright and open. Large kitchen with tons of cabinet space, built in desk and nice sized pantry. House comes equipped with a water purification system. Master features large private bath with double sink vanity, separate tub and shower and large walk in closet. Cozy Carolina room with windows galore leads to a large patio that is perfect for entertaining. Ample storage in garage with pull down access to the attic. Beautiful, large, flat back yard that backs up to woods for added privacy. 24 hr notice is required, tenant occupied. *Availability... Current tenant needs 2-3 weeks to vacate.